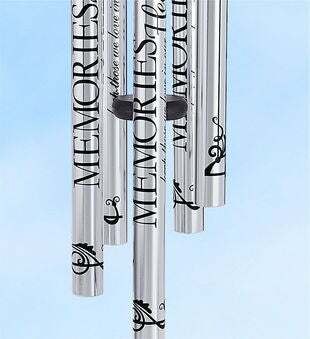 Honor the memory of beloved mother with The Signature Series Memories Wind Chimes and enjoy the elegant, rich tones that resonate throughout your garden. The timeless design features printed anodized aluminum chime tubes with the verse "Memories keep those we love in our hearts" and measure 40" in height. 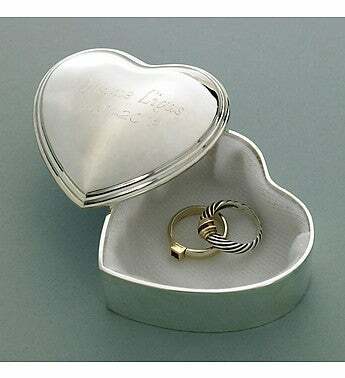 This memorial chime features a black aluminum sail that is engraved with the poem "There is no love like a mother's love, no stronger bond on earth. 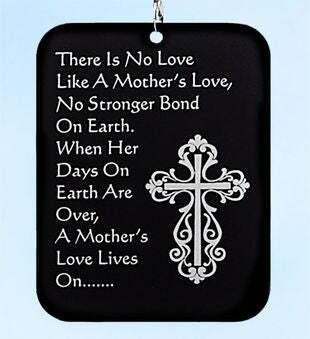 When her days on earth are over, a mother's love lives on..." along with a beautiful and ornate cross. 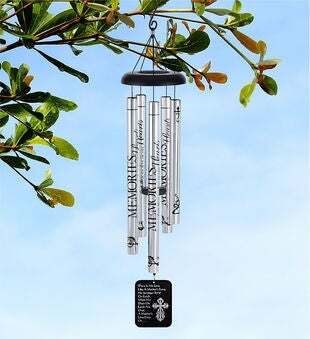 The flip side of the sympathy wind chimes sail is engraved with "In Loving Memory of" and personalized with mothers name and optional dates. 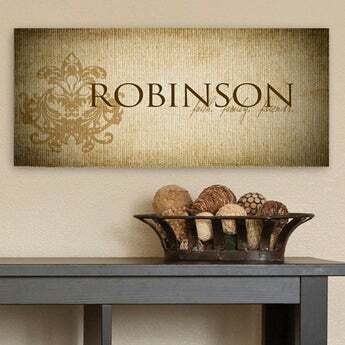 The Signature Series Memories Wind Chimes is a wonderful memorial gift for loss of mother. 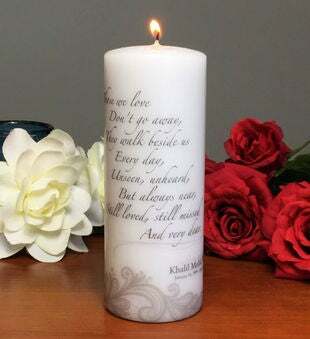 Each tube is printed with the "Memories keep those we love in our hearts." Wind sail measures 5" x 4 1/4"